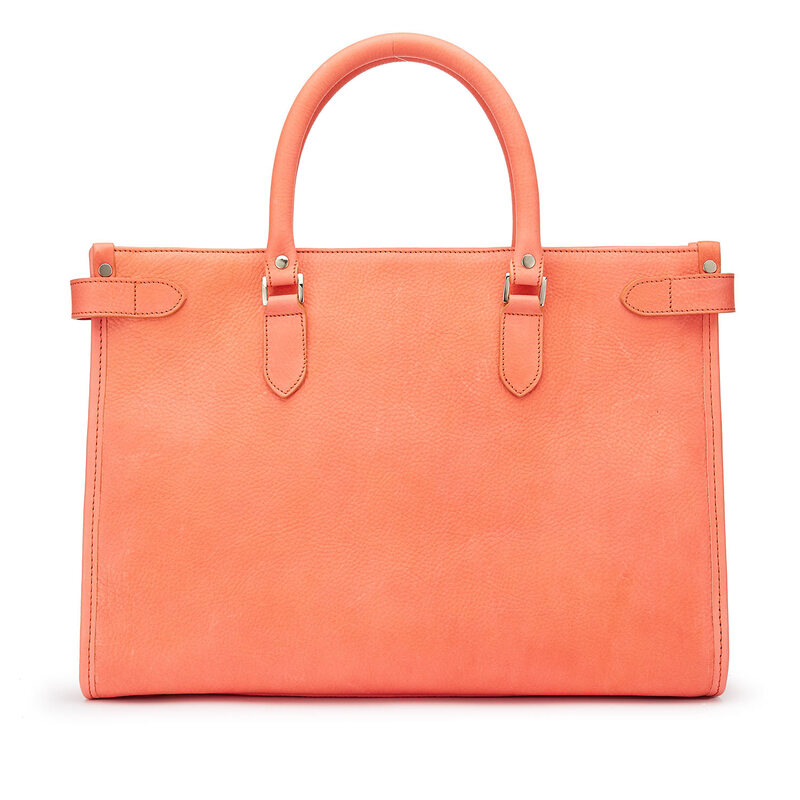 Our signature work tote, the Kimbolton is a seriously chic companion. 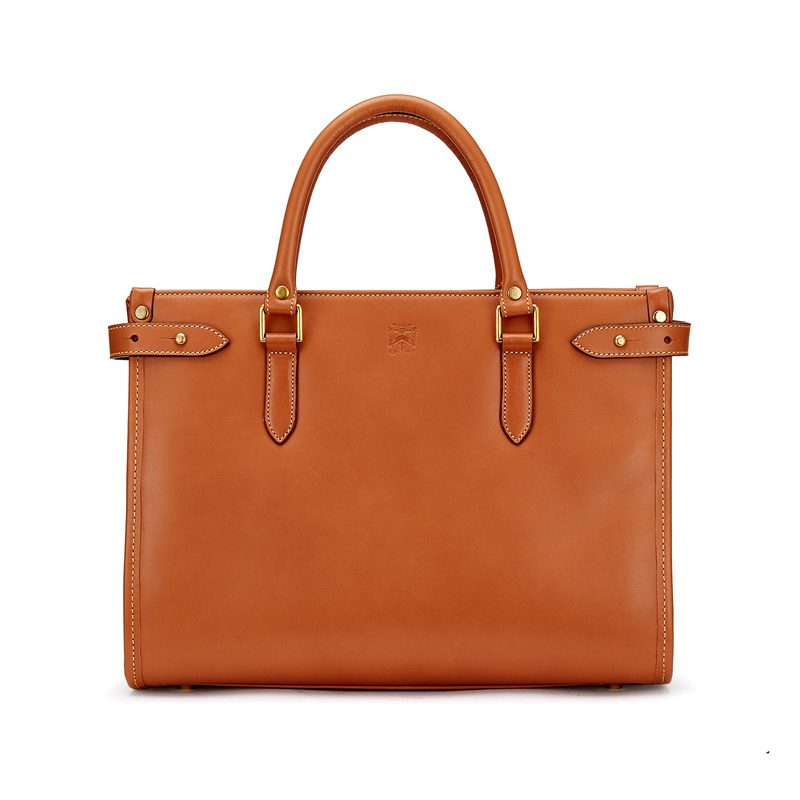 We have up-graded the whole construction, adding smoother walls, a laptop pocket inside and large slip pockets for your phone and charger etc. Available in a range of colours, from the subtle to the seriously vibrant, this luxurious leather bag fits neatly in the space between tote, briefcase and handbag. 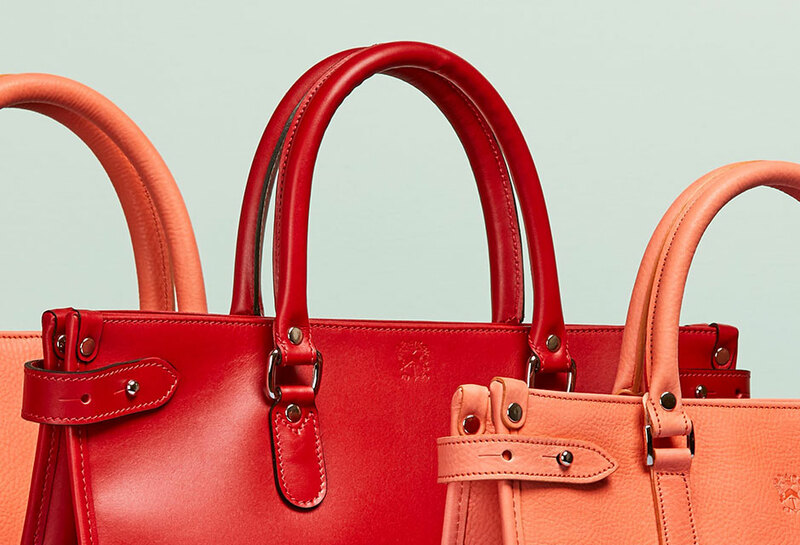 Whatever it is to you, it’s always just right. 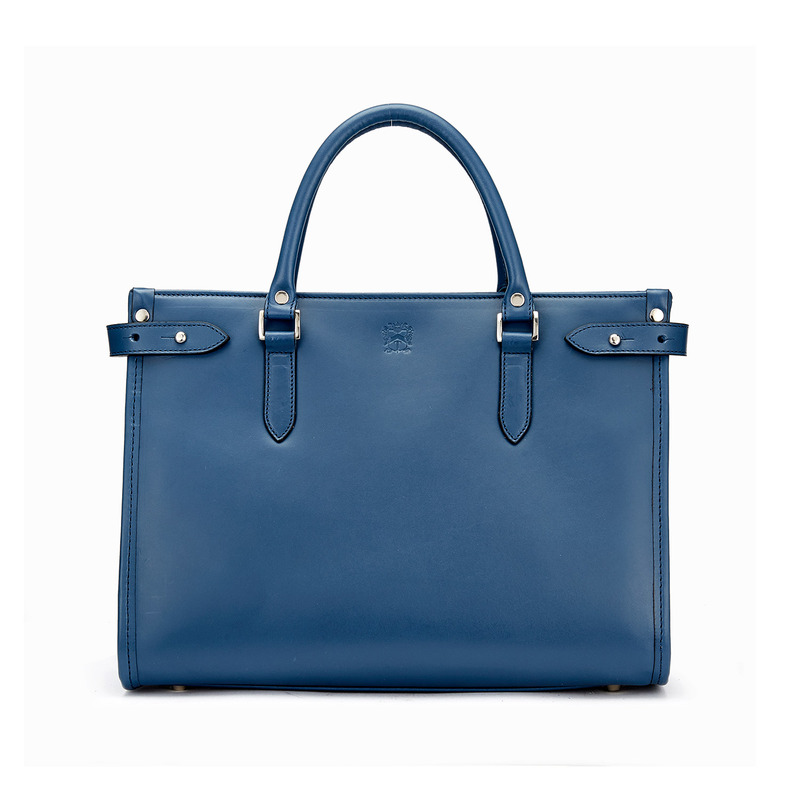 You’ll never feel blue with the Kimbolton work tote in our beautiful deep marine leather. This gorgeous bag, fashioned from only the highest quality full-grain leather, is the perfect splash of colour for women who favour subtle glamour. 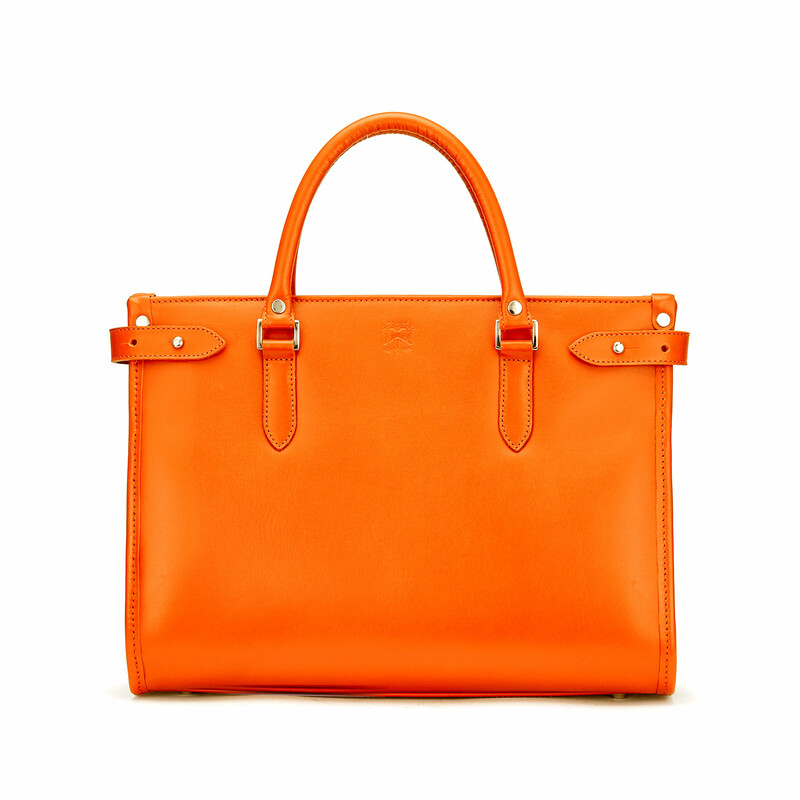 We defy anyone not to smile at the sight of our Kimbolton leather bag in Honeydon Orange. 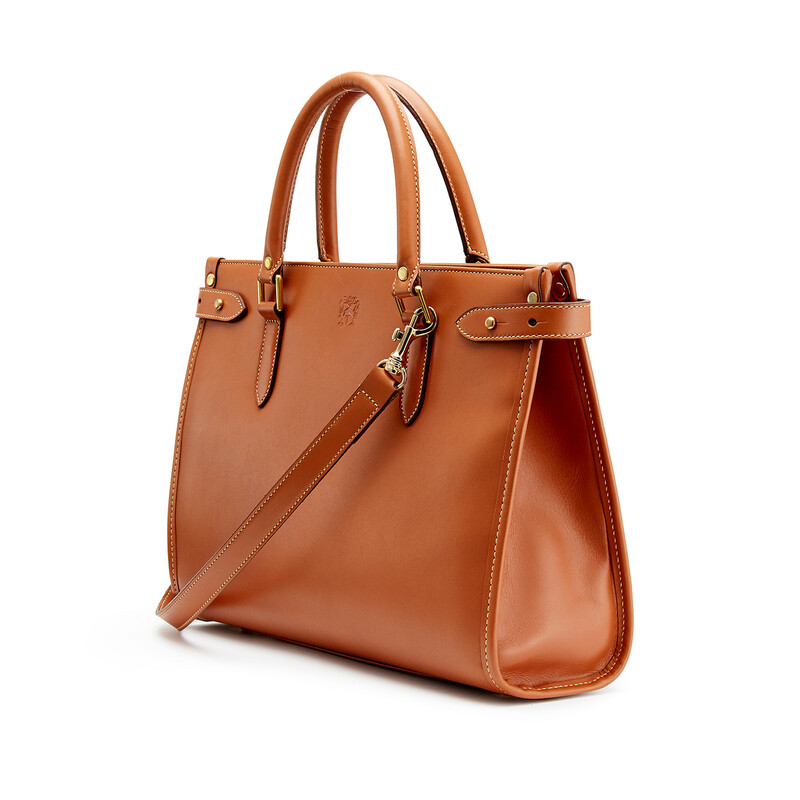 Beautifully zesty, this full-grain leather bag adds character and confidence to any outfit. You’ll always feel at your best with this little beauty on your arm. In our fabulous caramel-tan bridle leather, the Kimbolton work tote is just delicious. 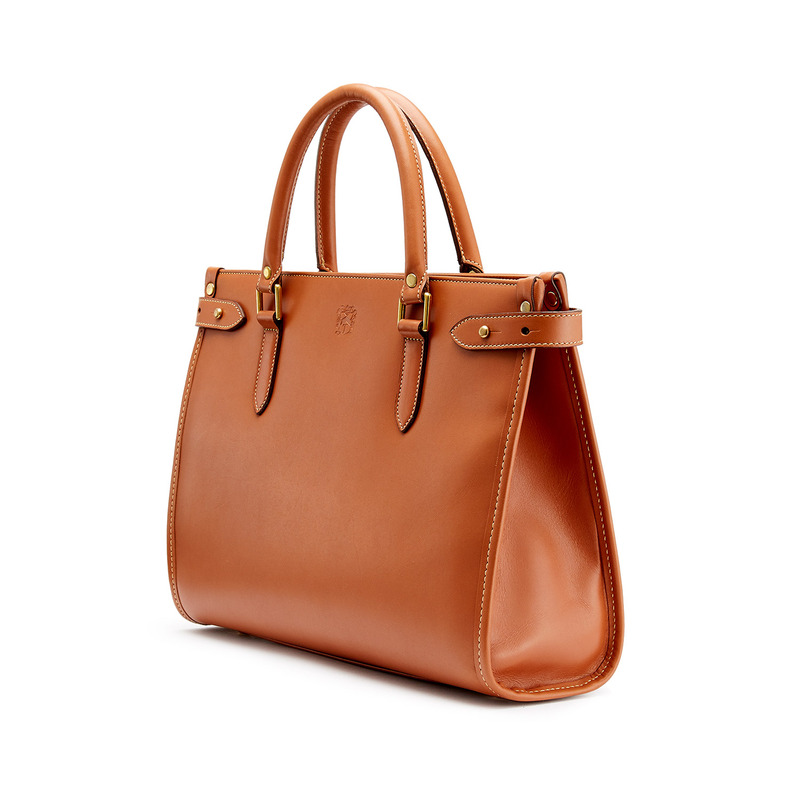 Bright and rich, the full-grain tan leather is wonderfully soft and light while the carefully crafted tote is structured perfectly to protect your most important belongings. Why play around with perfection? The formal structure of the Kimbolton work-tote partners perfectly with our glossy black full-grain leather to create a bag you’ll love forever. Sophisticated and spacious, The Kimbolton in black epitomises timeless chic. 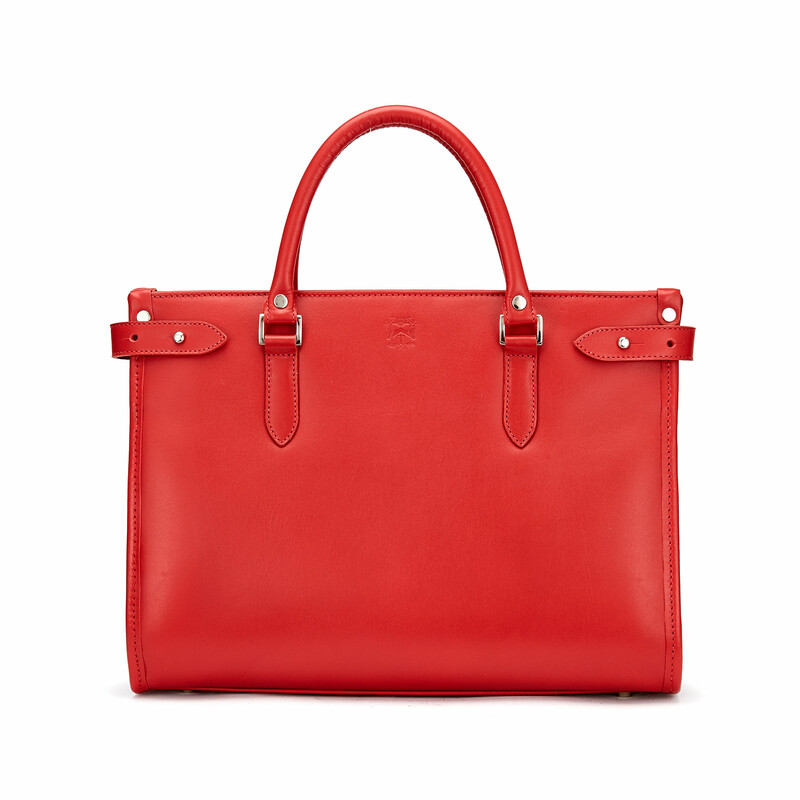 The perfect work bag in the perfect red: what more could any working woman ask for? 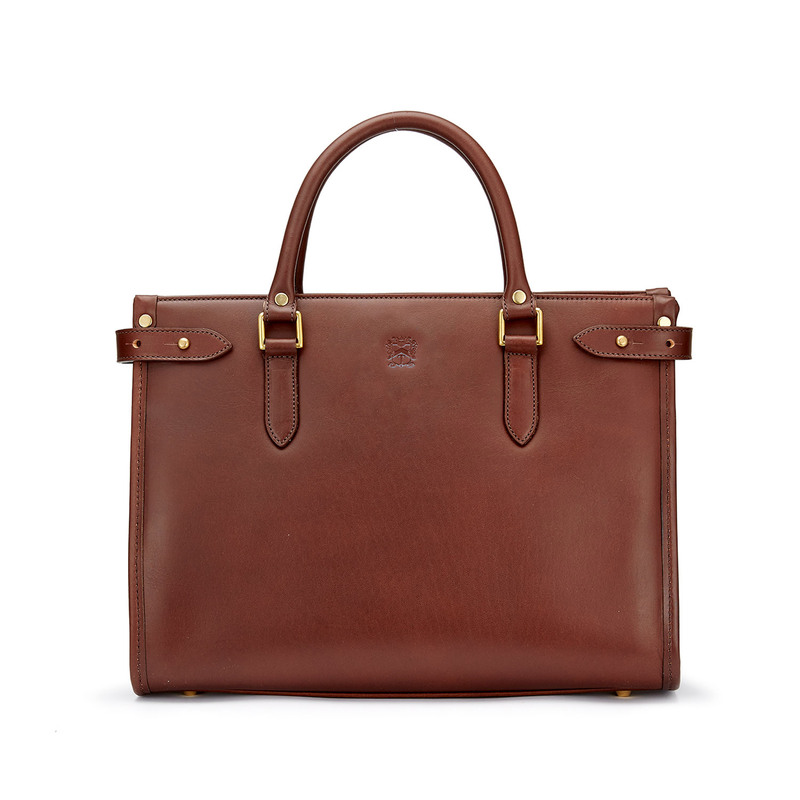 The Kimbolton in stunning crimson luxury leather makes an incredible statement while keeping all your workday essentials neatly stowed and close at hand. The illustrious Kimbolton in classic, unforgettable chestnut leather: that’s our idea of work chic. 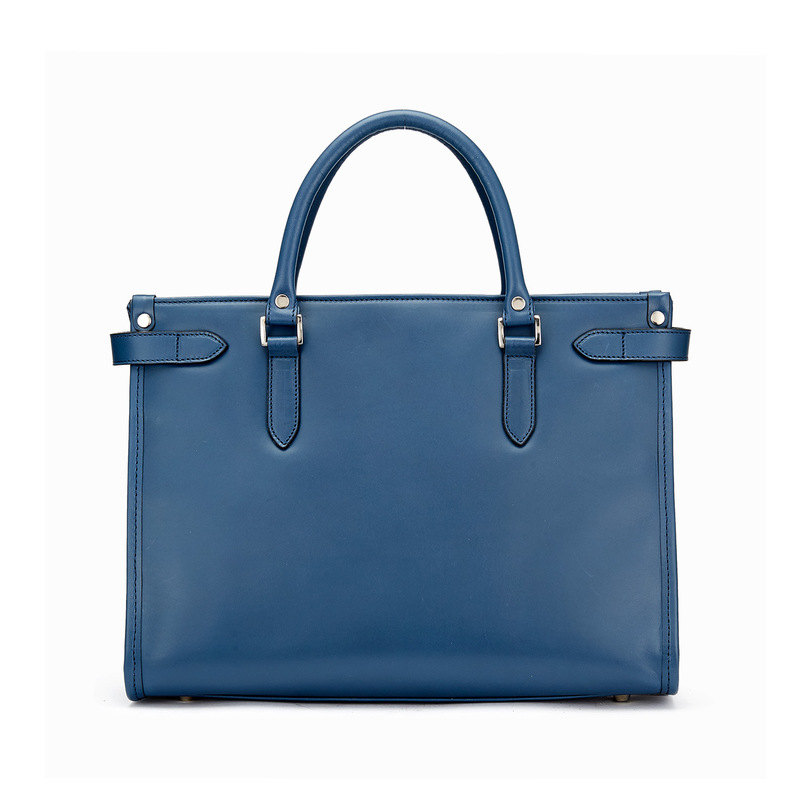 Warm, smooth and wonderfully tactile, this formally structured tote fits perfectly on the arm of any stylish working woman. The only work bag you’ll ever need. A colour that is conservative but with a twist of individuality, the deep purple Aubergine compliments almost every other colour and clashes with none. 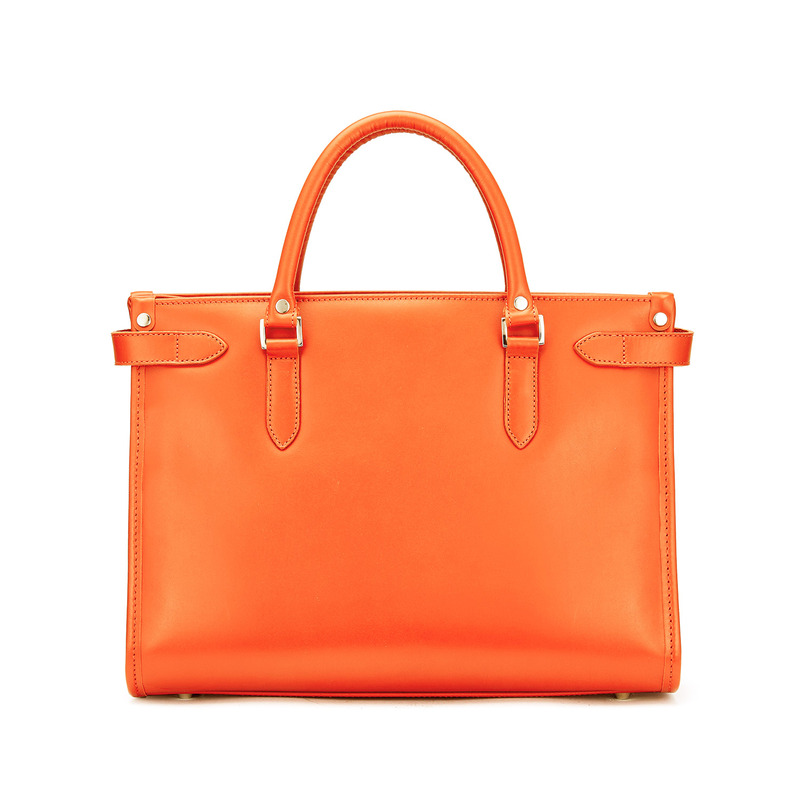 A great choice for this brilliant super-stylish tote. 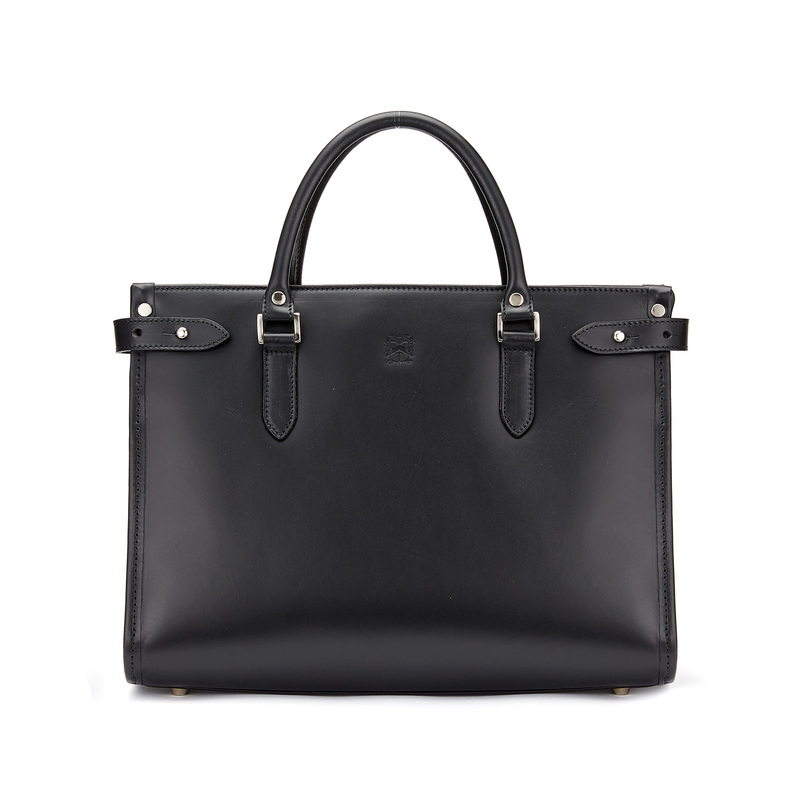 Originally designed as a sober briefcase for the discerning Japanese market, the Kimbolton left its serious origins behind to come and flirt with our ladies’ handbags! 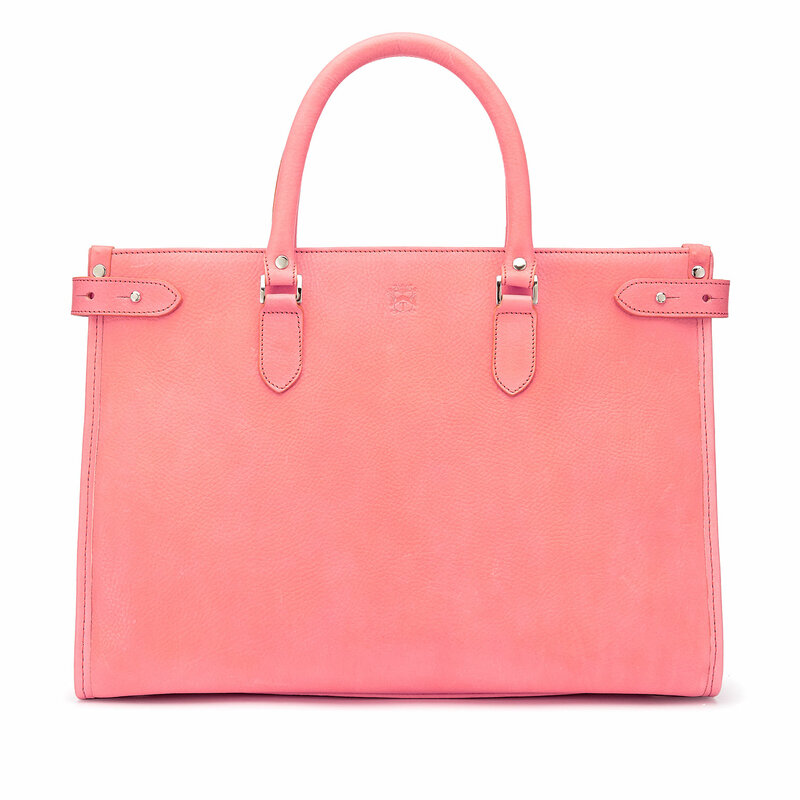 We realised that – fashioned in a range of gorgeous colours – this beautiful bag was perfect for the working woman who needed a little more space and structure than a traditional handbag could provide. 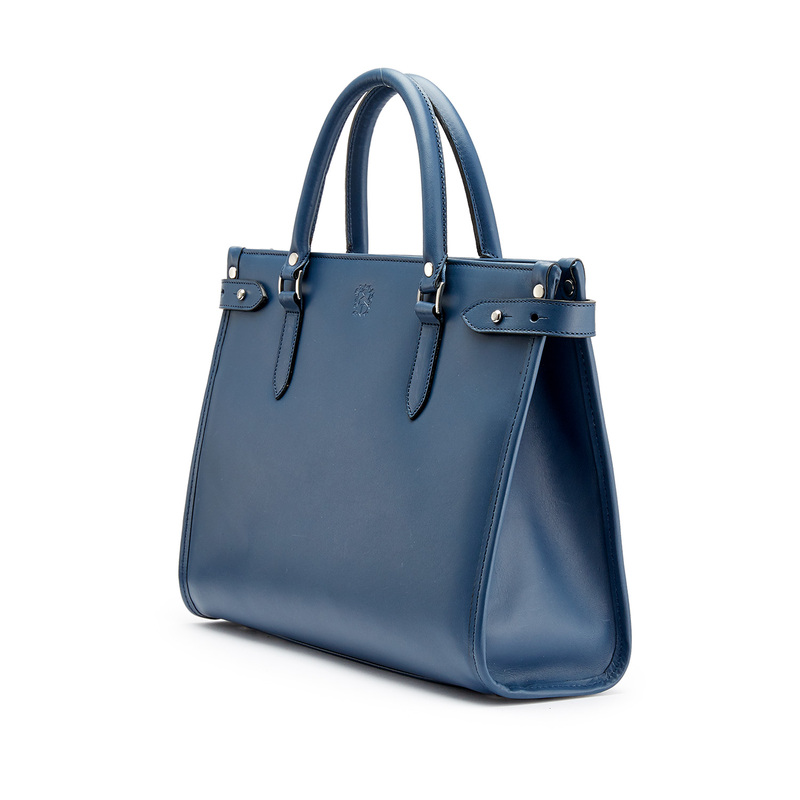 Initially intended as a simple open tote bag, the Kimbolton has been refined time and again. It’s now a fully-featured, laptop-carrying, work-friendly handbag. 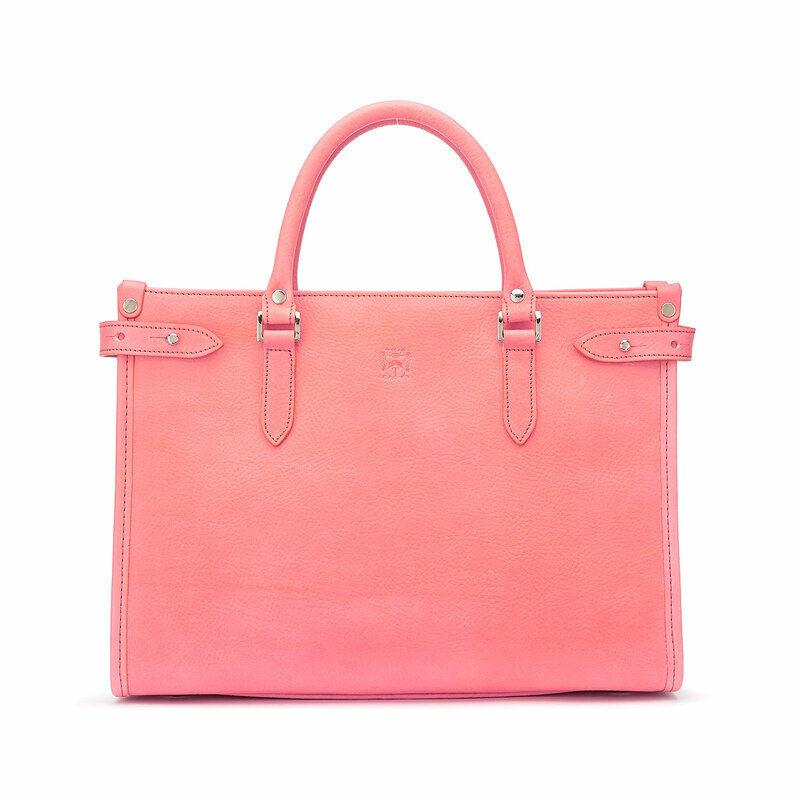 The name Kimbolton comes from a famous local village, just over the border into Cambridgeshire. 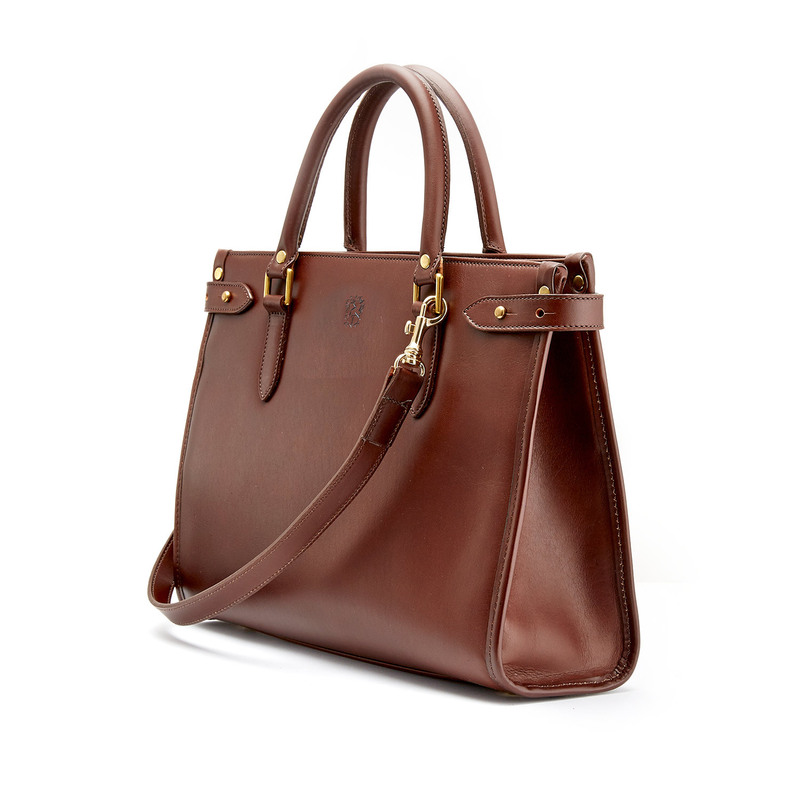 This charming locale is home to Kimbolton Castle, the final residence of Catherine of Aragon after she was divorced by Henry VIII, now home to a private school. 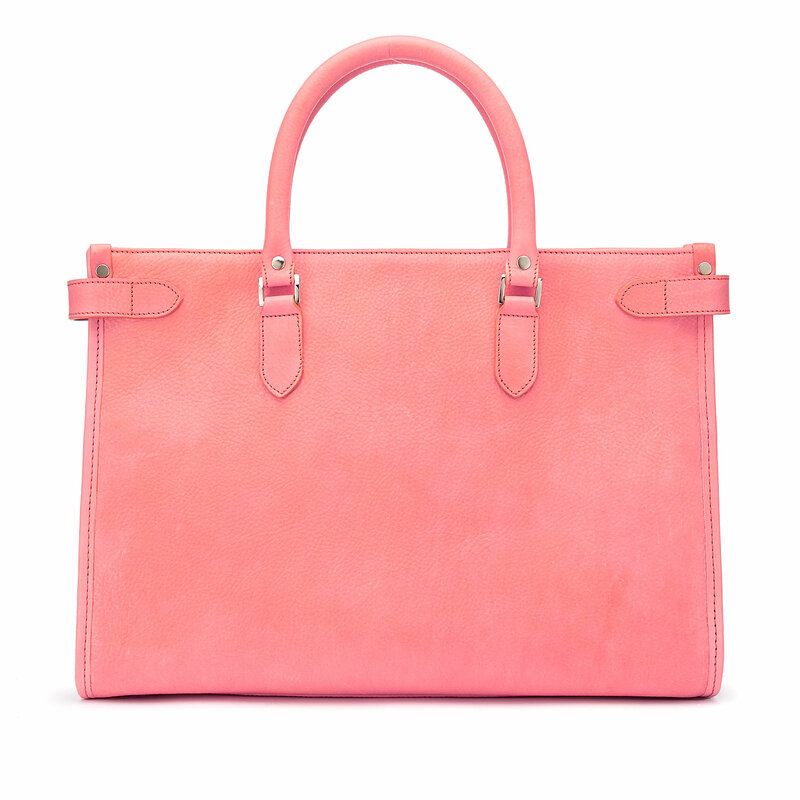 The village is also the base for the world-famous Kimbolton Fireworks company (founded by a former chemistry teacher at the school – lots of fun in lessons, we imagine!). 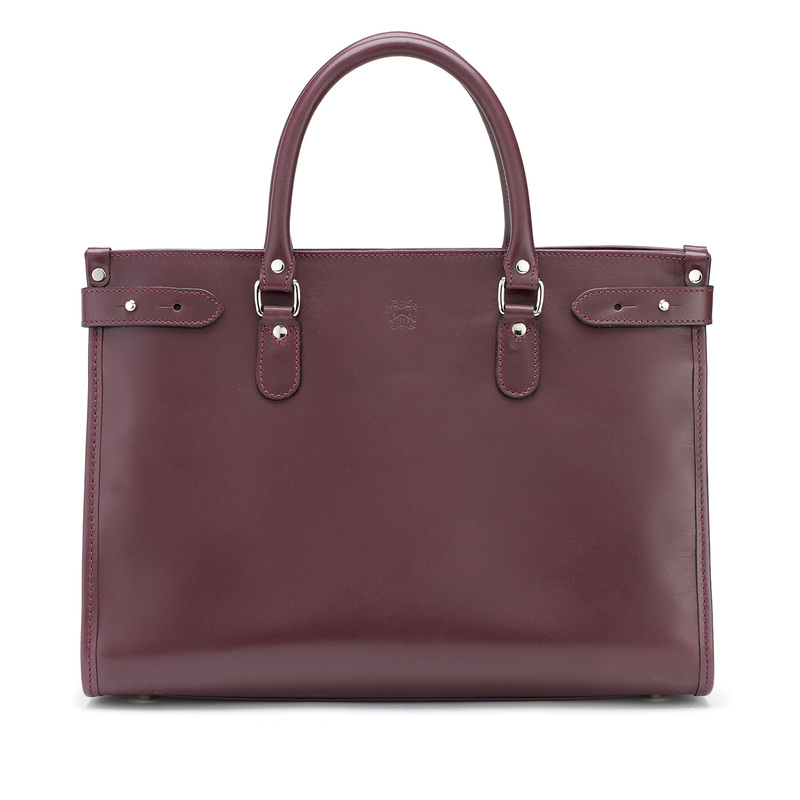 All of Tusting bags are hand-crafted in our Lavendon workshop. Many are made to order which gives us great flexibility. 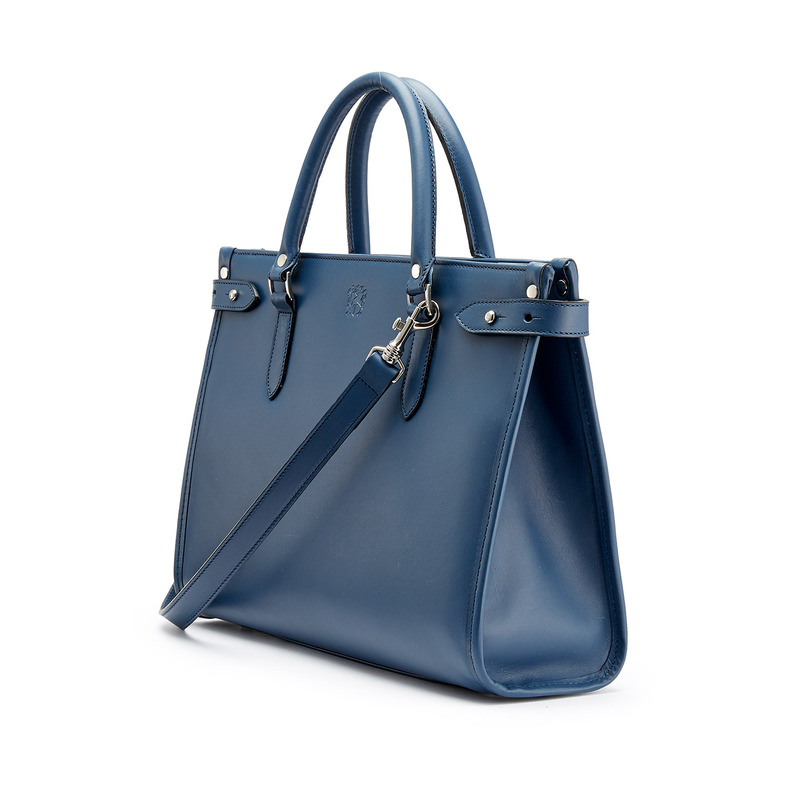 We can make your bag even more special by personalising it or create a bespoke colourway from our set of leathers. 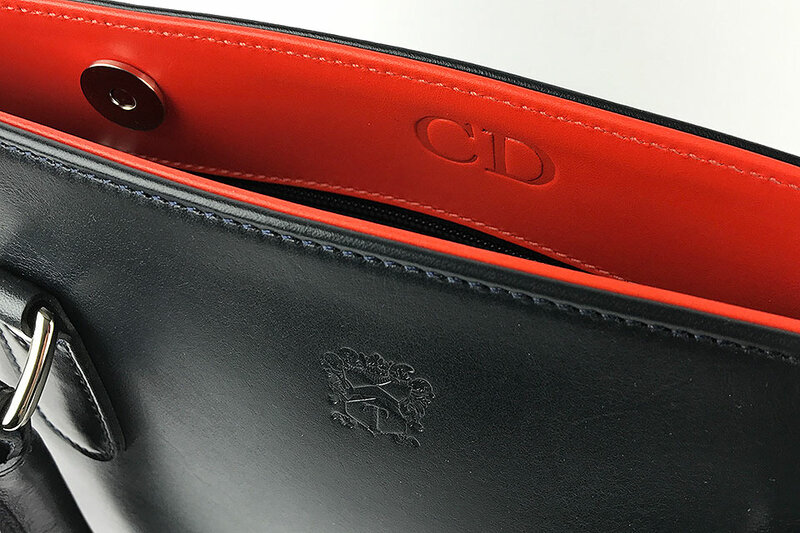 So whether it is a personalised message inside the bag, embossed initials or a special colour combination, don’t hesitate to contact us.